Puts DA, Bailey DH, and Reno PL. Intrasexual selection in men. In DM Buss (Ed. ), The Handbook of Evolutionary Psychology. New York: Wiley & Sons. Reno PL and Lovejoy CO. From Lucy to Kadanuumuu: balanced analyses of Australopithecus afarensis assemblages confirm only moderate skeletal dimorpism. PeerJ 3:e925. Reno PL. Genetic and developmental basis for parallel evolution and its significance for hominoid evolution. Evolutionary Anthropology. 25:188-200. Kjosness KM, Hines JE, Lovejoy CO, and Reno PL. The pisiform growth plate is lost in humans and supports a role for Hox in growth plate formation. Journal of Anatomy. 225:527-538. Reno PL, Horton WE, and Lovejoy CO. Metapodial or phalanx? Evolutionary and developmental perspective on the homology of the first ray’s proximal segment. Journal of Experimental Biology (Mol. Dev. Evol.). 320B:276-285. Reno PL, McLean CY, Hines JE, Capellinin TD, Bejerano G, and Kingsley DM. A penile spine/vibrissa enhancer sequence is missing in modern and extinct humans but is related in multiple primates with penile spines and sensory vibrissae. Plos One. 8(12):e84258. Reno PL, McCollum MA, Meindl RS, and Lovejoy CO. An enlarged postcranial sample confirms Australopithecus afarensis dimorphism was similar to modern humans. Philosophical Transactions B. 365: 3355-63. Reno PL, McCollum MA, Cohn MJ, Meindl RS, Hamrick M, and Lovejoy CO. Patterns of correlation and covariation of anthropoid distal forelimb segments correspond to Hoxd expression territories. Journal of Experimental Zoology (Mol. Dev. Evol.). 310B:240-58. Reno PL, Horton WE, Elsey RM, and Lovejoy CO. Growth plate formation and development in alligator and mouse metapodials: evolutionary and developmental considerations. Journal of Experimental Zoology (Mol. Dev. Evol.) 308B:283-296. Serrat MA, Reno PL, McCollum MA, Meindl RS and Lovejoy CO. Variation in mammalian proximal femoral development: comparative analysis of two distinct ossification patterns. Journal of Anatomy. 210:249-258. Reno PL, McBurney DL, Lovejoy CO, Horton WE Jr. Ossification of the mouse metatarsal: differentiation and proliferation in the presence/absence of a defined growth plate. The Anatomical Record. 288A:104-118. Reno PL, DeGusta D, Serrat MA, Meindl RS, White TD, Eckhardt RB, Kuperavage AJ, Galik K and Lovejoy CO. Plio-Pleistocene hominid limb proportions: Evolutionary reversals or estimation errors? Current Anthropology. 46:575-588. Reno PL, McCollum MA, Meindl RS and Lovejoy CO. The case is unchanged and remains robust: Australopithecus afarensis exhibits only moderate skeletal dimorphism. Journal of Human Evolution. 49:279-288. Reno PL, Meindl RS, McCollum and Lovejoy CO. Sexual dimorphism of Australopithecus afarensis was similar to that of modern humans. Proceedings of the National Academy of Sciences, 1000:9404-9409. Lovejoy CO, McCollum MA, Reno PL and Rosenman BA. Developmental biology and human evolution. Annual Review of Anthropology. 32:85-109. Reno PL, McCollum MA, Lovejoy CO and Meindl RS. Adaptationism and the anthropoid postcranium: Selection does not govern the length of the radial neck. Journal of Morphology. 248:59-67. Arfken CL, Reno PL and Klein R. Development of proliferative diabetic retinopathy in African-Americans and whites with Type 1 diabetes. Diabetes Care. 21:792-795. Reno PL, Arfken CL, Hiens JM and Fisher EB. Factors influencing decision to receive treatment for proliferative diabetic retinopathy. Diabetes Educator. 23:653-655. Arfken CL and Reno PL. Epidemiology of racial differences in the rates of development and progression of retinopathy. Diabetes Spectrum. 8:175-182. Reno PL. 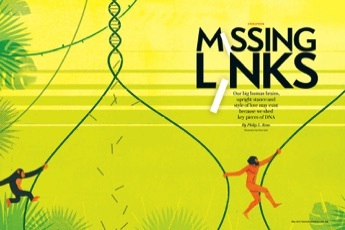 Missing Links. Scientific American. 316, May 1, 42-47. Kjosness KM and Reno PL. Using comparisons between species and anatomical locations to discover mechanisms of growth plate patterning and differential growth. In CJ Percival and JT Richtsmeier eds., Building Bones: Bone Formation in Development and Anthropology. Cambridge University Press. pp 205-232. Reno PL, Kjosness KM, Hines JE. The role of Hox in pisiform and calcaneus growth plate formation and the nature of the zeugopod/autopod boundary. 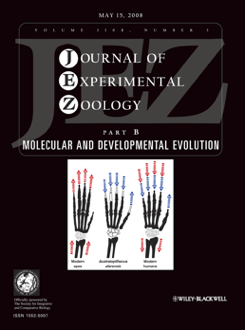 Journal of Experimental Zoology (Mol Dev Evol). 326B:303-321. Machnicki AL, Lovejoy CO, and Reno PL. Developmental identity versus typology: Lucy only has four sacral vertebrae. American Journal of Physical Anthropology. 160:729-39. Machnicki AL, Spurlock LB, Strier KB, Reno PL, and Lovejoy CO. First Steps of bipedality in hominoids: evidence from the atelid and proconsulid pelvis. PeerJ 4:e1521.